Later came the deep dive into the catalogue, the early quartet, the work with Miles. And the late situation, familiar now in its radicalism, the immortal shape of A Love Supreme. 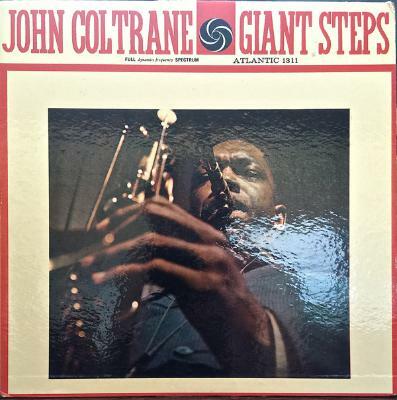 But Giant Steps was where I first found him, perfectly poised between classic form and the outer reaches of improvisational possibility, performances driven both by logic and wildness. It still sounds like bop, but you can hear it straining at the seams. Coltrane's circular breathing allowing him long sinuous runs on the tenor sax. Tommy Flanagan, on piano, keeping things close to home. Paul Chambers – who was to die tragically young – both anchoring things and swinging free. It was my second year of college. There was a Coltrane poster on the wall of my dorm room. He was a saint, he had the face and vibe of a saint. That's what you do with your late teens: find new languages to inhabit. I had come to the US from Nigeria a year before. This newly acquired language was black, edgy, loud, ecstatic, with more than a touch of the church in it. 'Spiral' and 'Countdown' filled my days, 'Naima' – so strangely simple – expressed the inchoate longing of evenings. 'Giant Steps' remains permanently fresh, and that's true even though it is also a masterpiece by consensus.